Introducing a new star of her generation, an electric debut story collection about young African-American and mixed-race teens, women, and men struggling to find a place in their families and communities. When Danielle Evans's short story "Virgins" was published in "The Paris Review" in late 2007, it announced the arrival of a bold new voice. 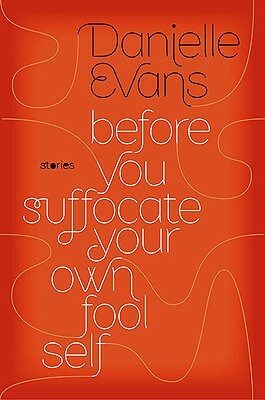 Written when she was only twenty-three, Evans's story of two black, blue-collar fifteen-year-old girls' flirtation with adulthood for one night was startling in its pitch-perfect examination of race, class, and the shifting terrain of adolescence. Now this debut collection delivers on the promise of that early story. In "Harvest," a college student's unplanned pregnancy forces her to confront her own feelings of inadequacy in comparison to her white classmates. In "Jellyfish," a father's misguided attempt to rescue a gift for his grown daughter from an apartment collapse magnifies all he doesn't know about her. And in "Snakes," the mixed-race daughter of intellectuals recounts the disastrous summer she spent with her white grandmother and cousin, a summer that has unforeseen repercussions in the present. Striking in their emotional immediacy, the stories in "Before You Suffocate Your Own Fool Self" are based in a world where inequality is reality but where the insecurities of adolescence and young adulthood, and the tensions within family and the community, are sometimes the biggest complicating forces in one's sense of identity and the choices one makes. "Danielle Evans" is a graduate of Columbia University and the Iowa Writers' Workshop. Her stories have appeared in "The Paris Review," "A Public Space," and "The Best American Short Stories 2008."